When selling your property, an open house is a tool which can help you find buyers quickly. This activity provides an opportunity for homebuyers to learn about and explore your house. It can even increase awareness and interest about the property as visitors may talk about it to other people. Furthermore, this marketing tool can help you gauge how many buyers are interested in the property. Based on the turnout of the event, you can make the necessary adjustments to successfully sell your house. Of course, for people to talk about your property or for a homebuyer to make an offer, the event needs to run smoothly. So, what should you do to ensure that this marketing activity achieves its goal? 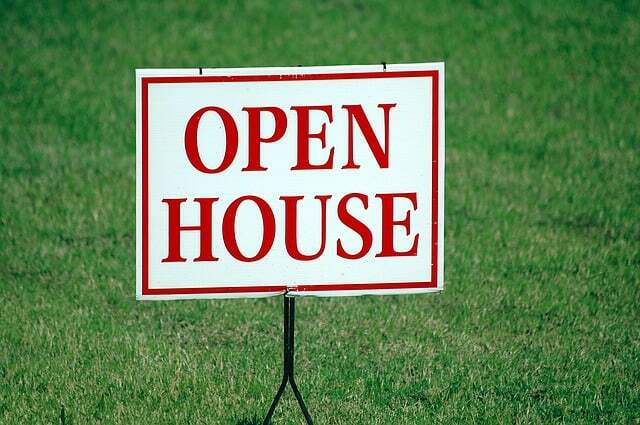 Below are some tips on how to have a successful open house. Schedule plays a crucial role in the success of an open house. In most cases, the preferred day for this activity is Sunday when most people aren’t occupied with work. The event should run for at least two hours. Depending on your schedule, you can opt to have it for four hours or even the entire day. When picking a date for your open house, make sure that you avoid holidays or dates when big events are scheduled to take place. It is also highly recommended that no major community affairs are taking place during the open house as this can make the neighbourhood too noisy or busy. Lastly, ensure you check the weather forecast first before scheduling your open house. Keep in mind, the goal is to get more potential buyers to come in. This cannot happen when it is raining or it is freezing cold. You need to impress homebuyers and a dinghy house won’t do that. So, thoroughly clean your house, both inside and outside, at least a day or two before the event. Aside from your furniture and floor, the walls need to be spotless as well. Visible defects like cracks and holes need to be addressed ASAP. Do not forget about curb appeal, too! Mow your lawn and clean rain gutters. If you can, apply a fresh coat of paint on the property. This is the simplest and easiest way to make your house look fresh and new. Home staging is not just about making your property presentable. It is also meant to help potential buyers visualise themselves living in the house. Arrange the rooms in such a way that they would look more spacious. This includes removing some furniture, especially if you have not moved out of the house yet. Take note, however, that spacious doesn’t mean empty. Having a few pieces in the room enables would-be buyers to see what they can do with the space. In addition, when a house is bare, its imperfections become more noticeable. Properly staging a house can be challenging, especially for those who are doing it for the first time. Do not fret, though! You can always ask the help of a professional estate agent for this task. As part of the services they offer, real estate agents take care of marketing campaigns for properties they are selling. This includes posting ads, preparing flyers and hosting open house events. It may seem like a waste of paper, especially during this so-called digital age, but flyers or brochures are still very useful. The goal is for the attendees to have something they can refer to when they go home. They may even share these materials with people they know, thereby enabling you to reach more buyers. Aside from the coloured photos of your property, you must also place all pertinent details about it. For example, put the measurement and the cost of the house. Lastly, to ensure that your flyers or brochures don’t easily get torn, use durable materials. On the day of the open house, give potential buyers a warm welcome. Display fresh flowers in key places in the house. Make sure the place smells good. Open all windows to air out the property and light scented candles. Prepare some treats like baked goodies, too. Have a log book where attendees could input their details as well as provide feedback. Learn more about how to have a successful open house. Let our trusted real estate agents help you sell your house. Call us at 01 495 9020 today!